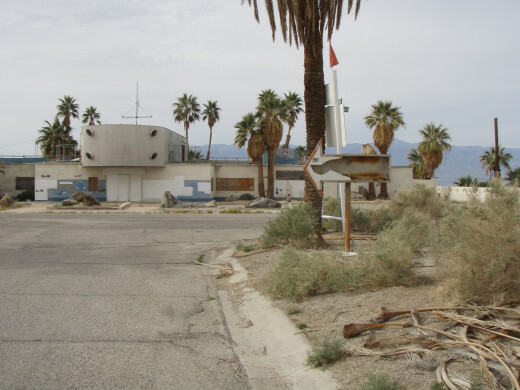 The Salton Sea was supposed to be the next California Riviera. In the 1950s it was destined to be the next Palm Springs, Lake Havasu, or Las Vegas, with the wealthy coming in in droves to play in the sun and sparkling water. 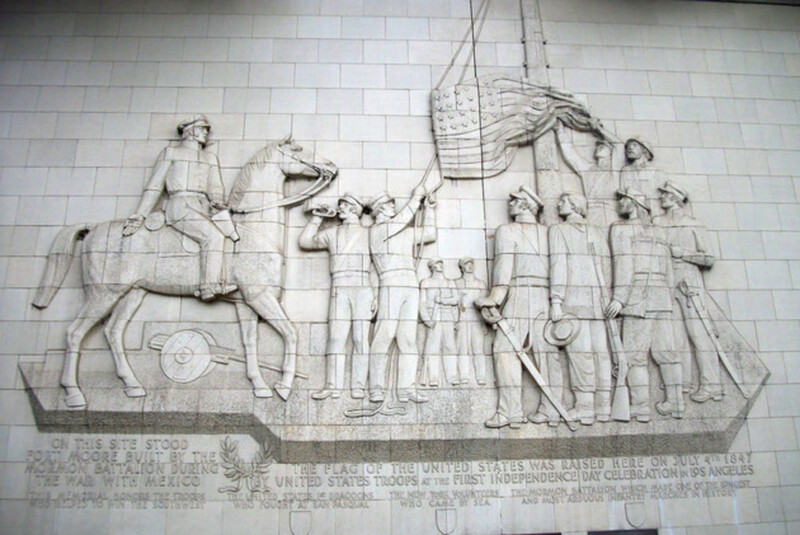 However, history told us another story. The problem is that the Salton Sea is an elaborate fluke of modern engineering. In a misfired attempt to redirect the Colorado River for agricultural purposes, the below sea level valley flooded, becoming the Salton Sea. With agricultural waste water being its main tributary, the lake quickly became plagued with high chemical and salinity levels. In an opportunistic effort to bring saltwater sport fishermen to the area, the lake was stocked with non-native saltwater fish. 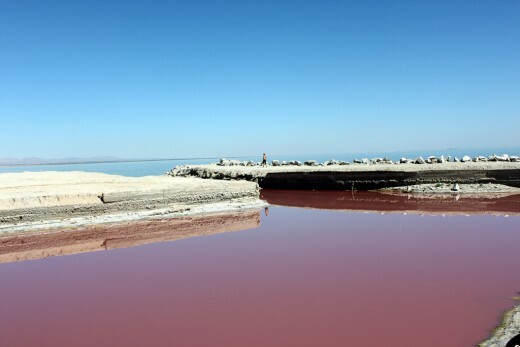 At only 30 feet deep, the Salton Sea has turned from a desert oasis into a mucky, battery acid colored cesspool. Fancy homes, yacht clubs, and hotels sprung up along the Salton Sea's shores, but Increasing levels of chemicals and salinity lead to massive fish die-offs and an aquatic environment unfit for human recreation. 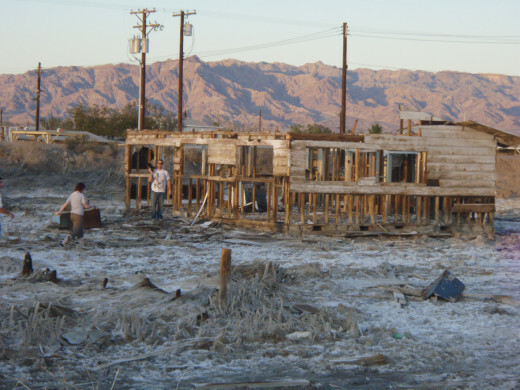 Home values plummeted, storefronts remained empty, and hotels turned on their vacancy signs, as the end of the Salton Sea tourism bubble became increasingly clear. With threats of the area turning into a stinky dust bowl and no hope of recovery, many homeowners and businesses abandoned their buildings, leaving them as if they fled overnight. Bombay Beach took an especially hard hit, resembling a nuclear war zone, with shells of homes and trailers rotting in rust-colored mud and mire. What is particularity eerie, is many of the buildings remain abandoned with their former owners possessions still in them. File cabinets still contain tax documents and bank account statements, cabinets hold plates and eating utensils, and personal effects litter the floors. Out of the Apocalypse has come a new culture of opportunists, freedom finders, squatters, snow birds, and societal misfits. Made famous by the film Into the Wild, Slab City and Salvation Mountain have begun to draw a new breed of adventure seekers and those searching for a taste of bohemian culture. What they will find is a thriving, self-sustaining community, unphased by the area's downward transformation. With congressional movements and community efforts, hope is rising for the restoration of the Salton Sea. The North Shore Yacht club, which has been abandoned since the 1980s, has been restored and turned into a museum. 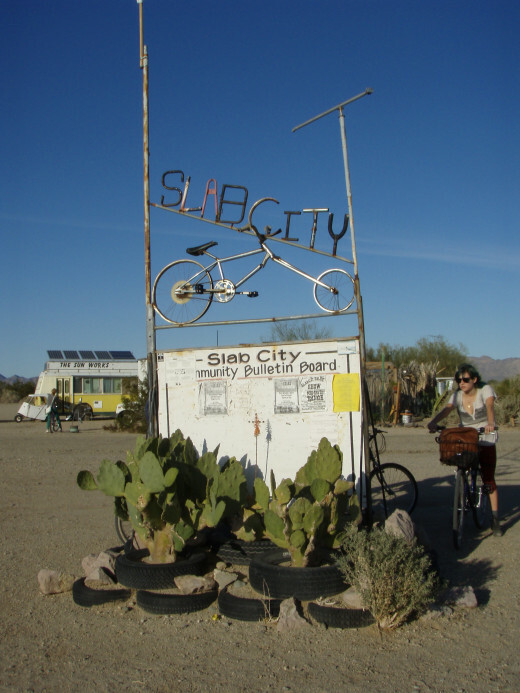 Slab City is an abandoned military base that has been taken over by squatters and snow birds. 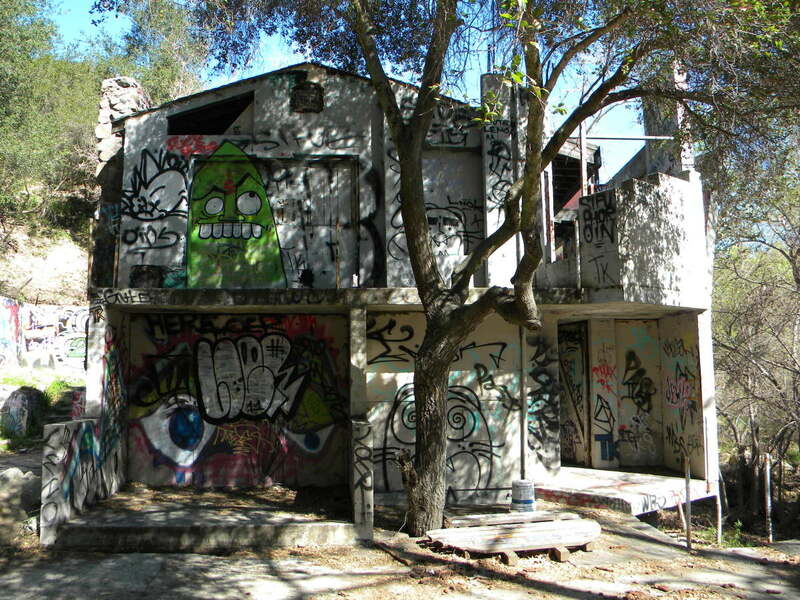 It is a vibrant and eclectic community of people living rent-free in the old bunkers and cement slabs. Just like any formal city, it has a library, church, recycling center, outdoor theater, and daily social activities. 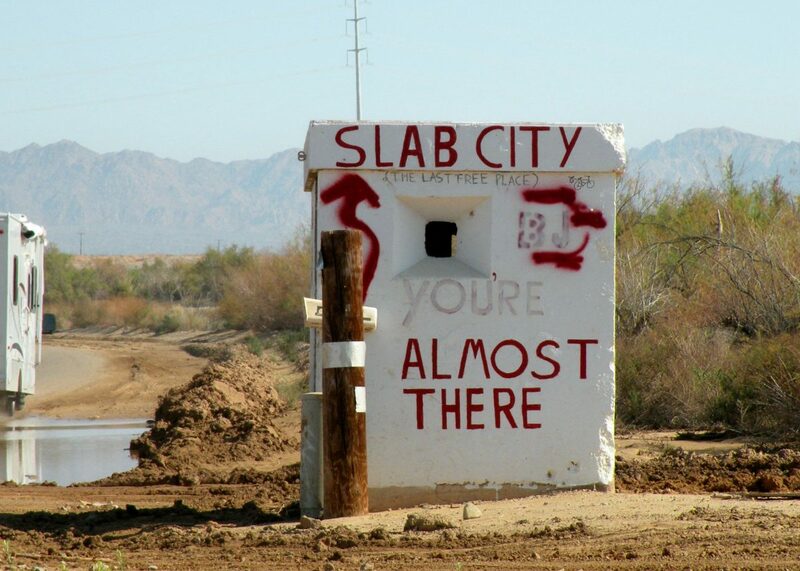 Check out http://www.slabcity.org for more information. Just outside of Niland, California, sits a mountain of paint, straw, telephone poles, and desert waste. It's Artist, Leonard Knight, spent three decades painting and building up his mountain while inscribing it with Bible verses and prayers. For years he gave personal tours to visitors, showing them his ongoing work and talking to them about his art's message: God is Love. Leonard is now in a nursing home and unable to frequently visit his mountain. Without his presence, the mountain has been degrading, and its future is at stake. Time may be running out to see Salvation Mountain in all of its splendor. An abandoned city that resembles the film set of an apocalyptic blockbuster. Left to rot in floods of salt water, Bombay Beach is a must see for photographers and ghost town historians. At 361 square miles, the Salton Sea is California's largest lake and a midway landing zone for a majority of North America's migratory birds. 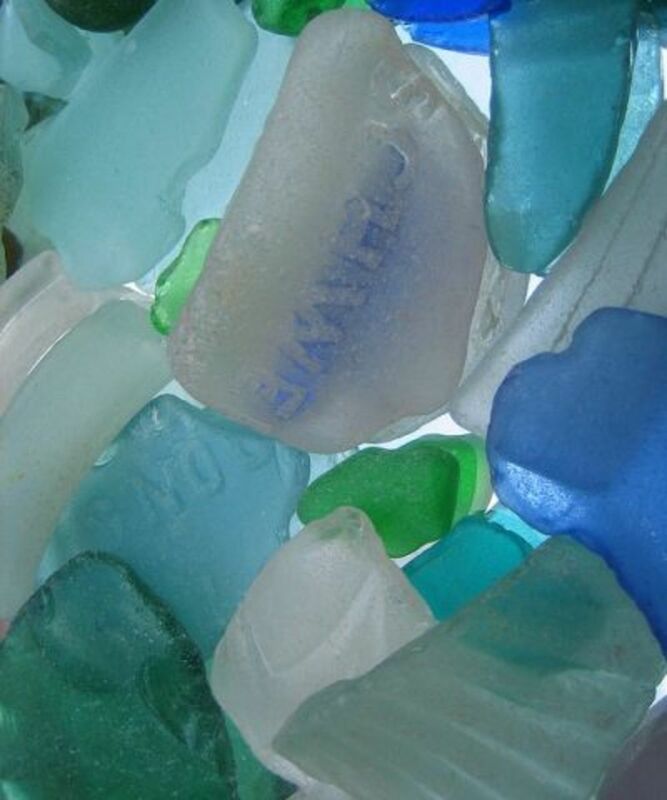 Bird watching, kayaking, fishing, and camping are some of the most popular activities available. This is no Yosemite, but it sure is a unique and peaceful place for an uncommon weekend away. California's largest body of water. Leonard Knight's acrylic mountain of Love. A unique piece of art unlike anything else in the world. A wonderful community of snow birds, complete with live shows, $1 hot dogs, an outdoor library, and more freedom than Texas. A blast from the past ghost town. Bill, thanks for being the first to read and reply. I think you would love to hang out at the Slabs if you're ever out this way. It's simple, off grid living at its best. How very interesting. I've been to California several times but never seen this area. It will be interesting to see how it all turns out, but I love the idea of a Bohemian village of sorts.